The investment done by Mandira Bedi in Sagoon opened the startup to industry-oriented investments for it’s global fundraising initiative. The app has three features- My Day, Secret and Mood Talk, all of them quite similar to other social networking platforms like Snapchat and Instagram. 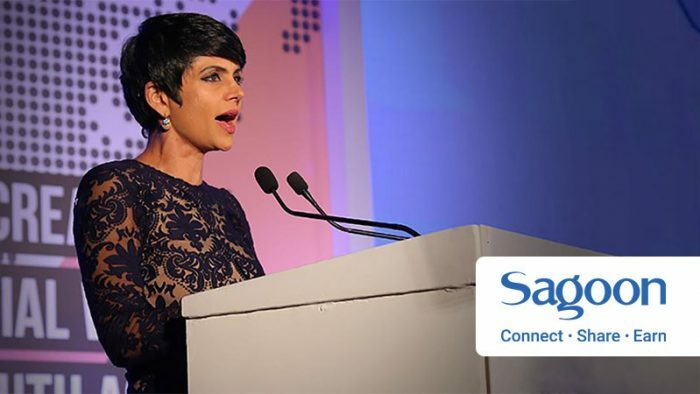 Mandira Bedi invested funds in Sagoon, the social commerce platform enabling its users to Connect, Share, and Earn. The investment opened the app-based startup for industry-oriented investments for the global fundraising initiative. The app has three important features – My Day, Secret, and Mood Talk. My Day lets you plan your daily activities, set reminders, keep track of your schedules, and also share events with friends. Secret is a section within the app that lets you have private conversations with messages that disappear, share thoughts with others without disclosing identity, and also explore what others are talking about from the community. Lastly, Mood Talk is a chat feature that lets you communicate with others using ‘moods’ – which basically refers to real-time animated characters reflecting your current state of mind. The chat vanishes automatically after 24 hours, a feature similar to Snapchat and Instagram where you can post content that disappears after a given time period. After three successful rounds, Sagoon has so far raised $4.8 from 3000+ investors all over the world. The app has received more than 1 Million app downloads in just two months after the launch. Sagoon now boasts over 2.3 million users across its mobile and web-based social commerce platform. The company plans to further raise $5 million that it will use to hire more data scientists, strengthen infrastructure, enhance technology and promotion for user growth.